Why even use a drum map? When you open a MIDI event with the MIDI editor in MAGIX Music Maker, you will see the piano roll on the left side. The C keys and their octaves are all labeled, which is sufficient if you just have to deal with melodic MIDI events. But as soon as you want to edit or create drum grooves, only seeing the keys and notes is not very convenient. That is why some DAWs like Cubase support loading up external drum maps, which will display every single drum name like Kick, Snare, Hi-Hat etc... instead of just the notes or the blank piano roll (see right image). This obviously makes drum programming much more convenient since you are going to actually see which drums you are about to draw into the MIDI editor. The guessing game will be over. 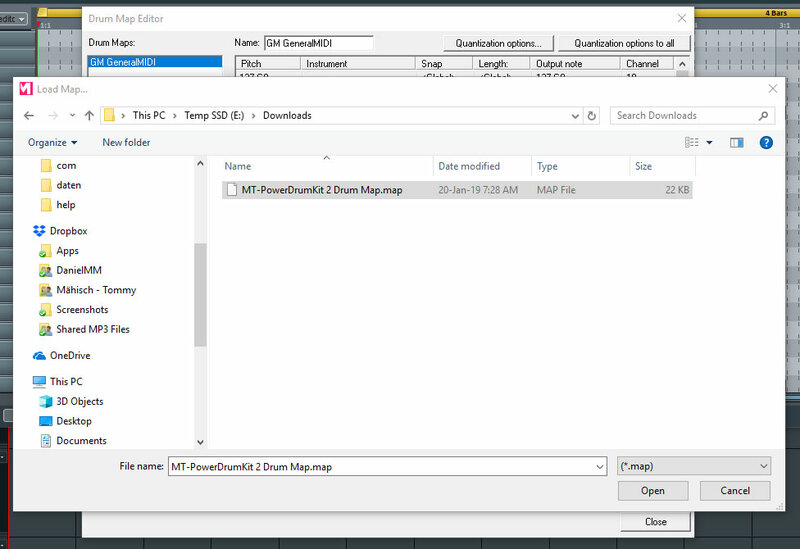 Extract or copy the drum map file, which comes with the plugins zip-file, to whatever location you want on your drive. You can also directly download the drum map file of our plugin for MAGIX Music Maker HERE. Unzip it to a location of your choice. Please note that this drum map file only works with MAGIX Music Maker. Other DAWs like Cubase, Reaper and Studio One have their own drum map file format. You can find drum maps and instructions for these DAWs within the help section of this website as well. Open Music Maker and assign the drum plugin to a track. Drag and drop a random MIDI groove from the plugin into MAGIX Music Maker. Make a right-click on that MIDI event and select MIDI Editor. Switch to the Drum Editor by clicking the button on the top left. Click the top drop down menu and select Open drum map editor from the list. 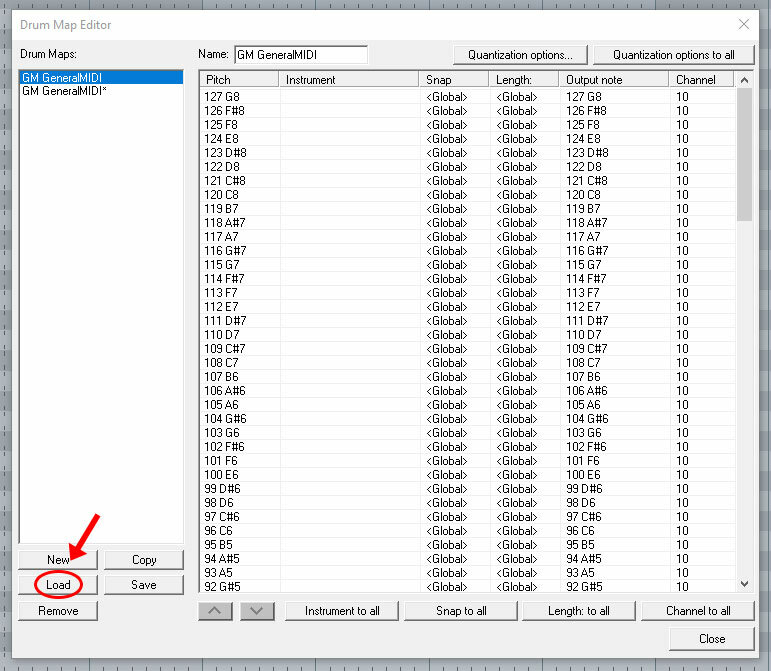 Select and open the previously extracted drum map file. Then you can close the Drum Map Editor window. In the last step, you have to click the drop down again and actually select the new drum map file. That's it! The MIDI editor now shows the correct drum names instead of the piano roll. Enjoy enhanced and more convenient drum programming!